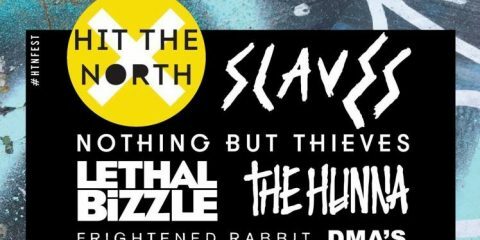 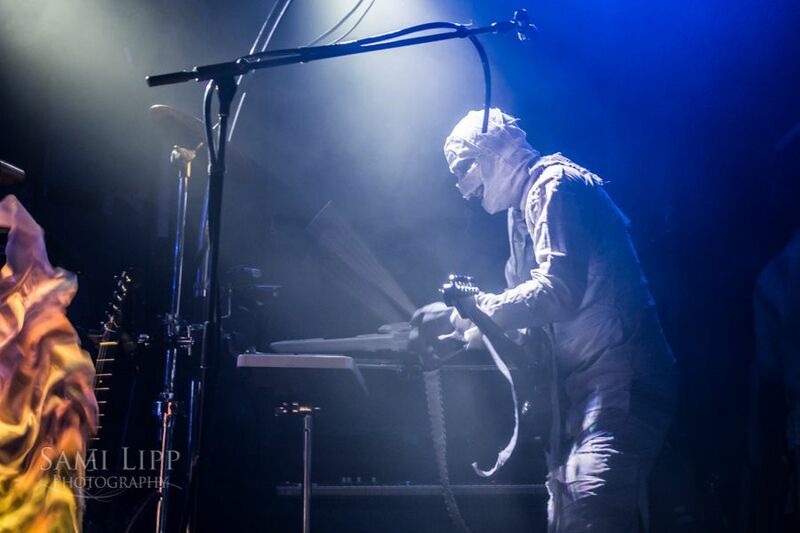 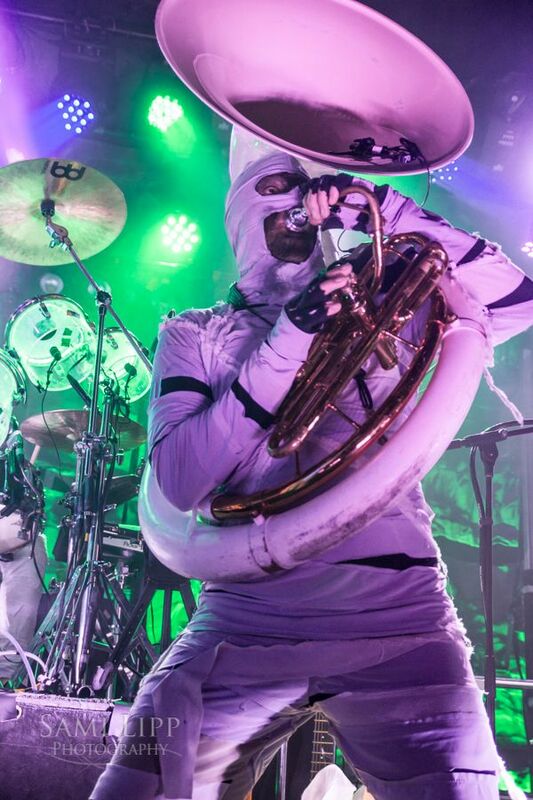 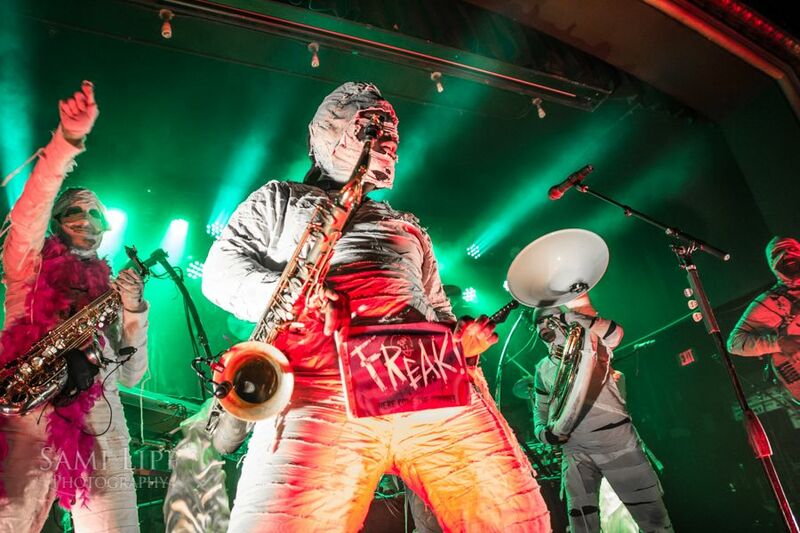 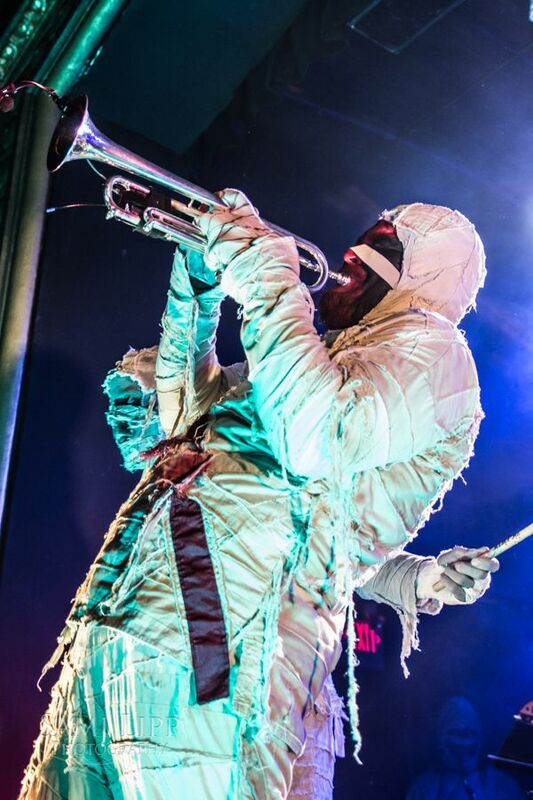 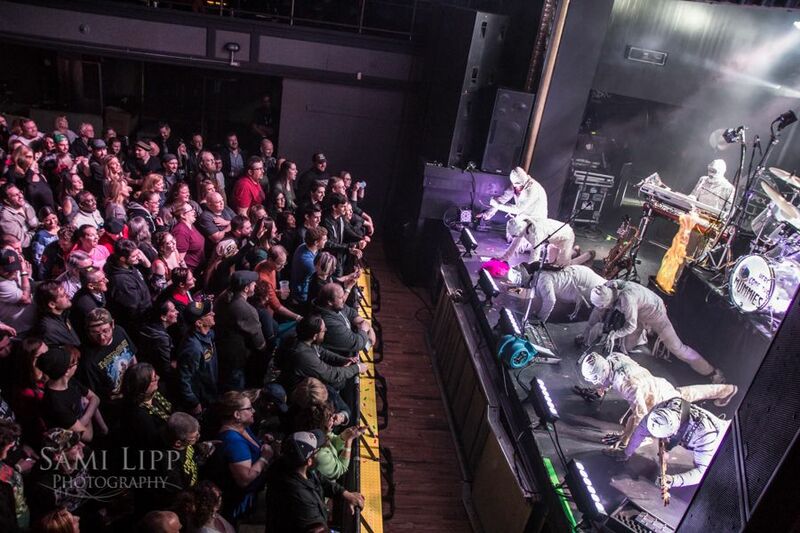 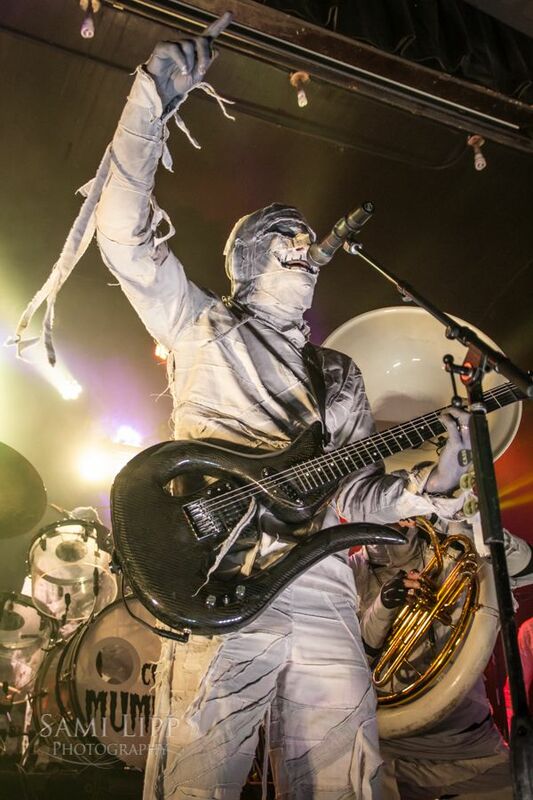 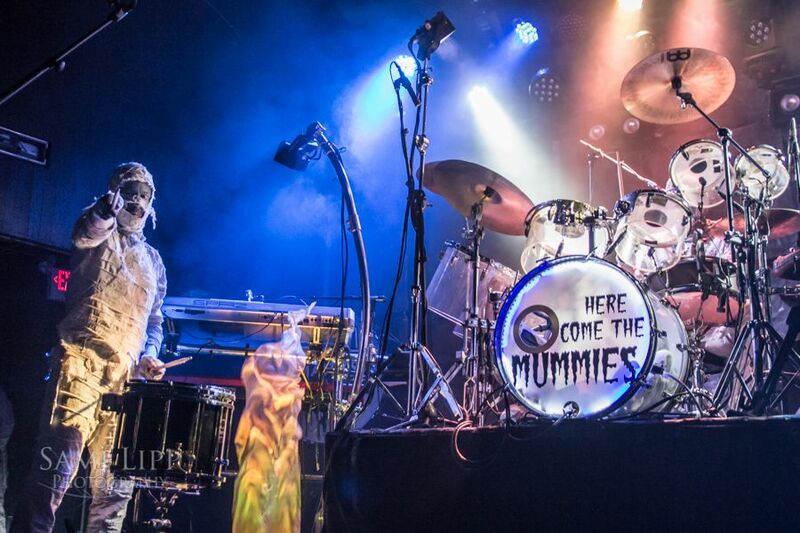 Here Come The Mummies brought their funky The Wicked Never Rest tour to Saint Andrews Hall to party with Detroit and show off their newest material. 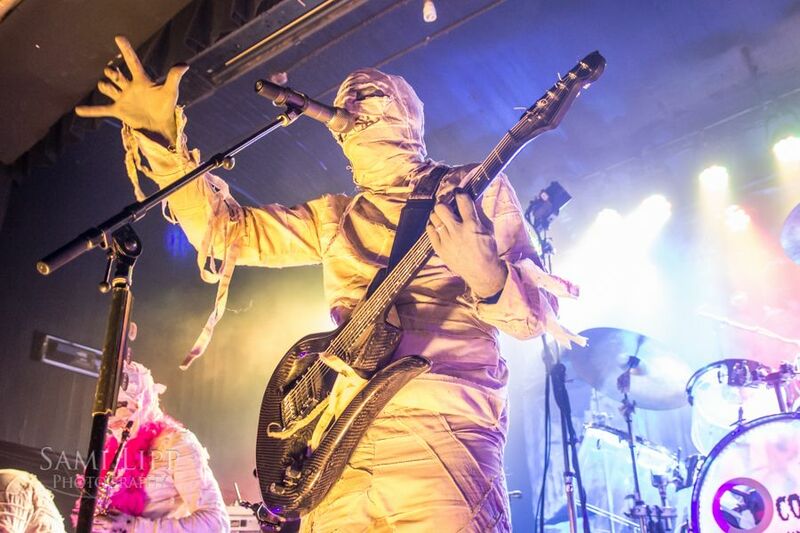 Saint Andrews Hall quickly packed with fans, all ready to party and looking behind them, waiting for their favorite mummy-clad friends to appear. 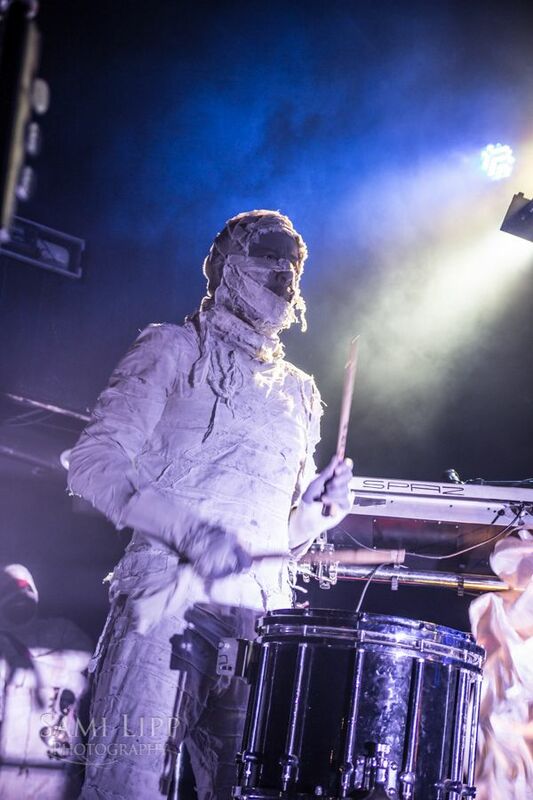 Never one to disappoint, Here Come The Mummies marched through the crowd to take the stage with their giant drums, like a crazy marching band straight out of ancient Egypt. 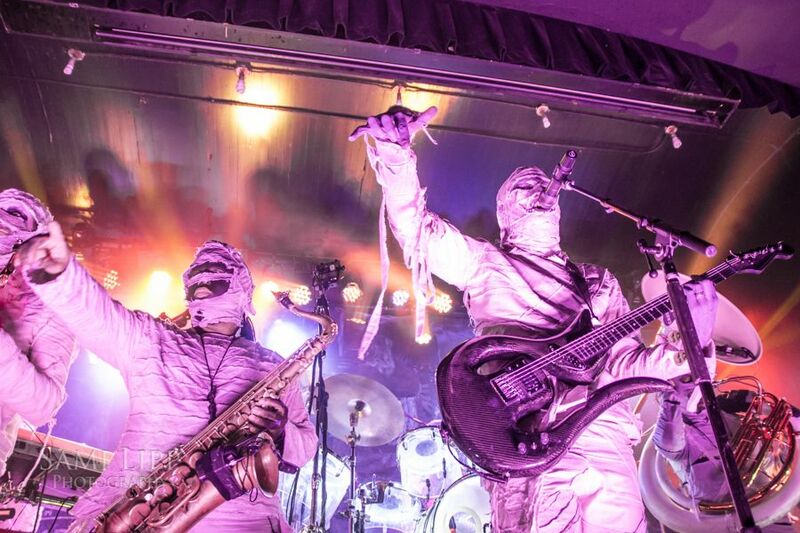 With the crowd erupting in cheers and the mummies in their places, the band jumped into “My Party”. 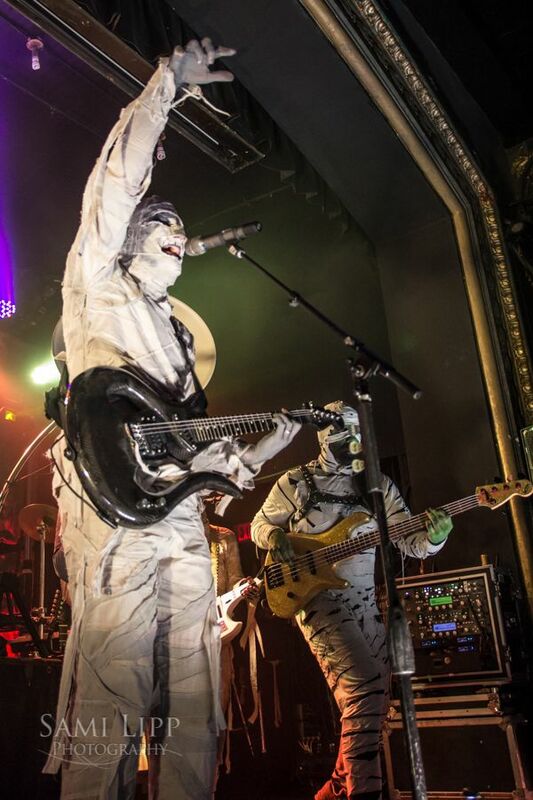 Right after, they launched into their famous song “Freak Flag,” complete with flag-waving Anubis jackals to lead the crowd on. 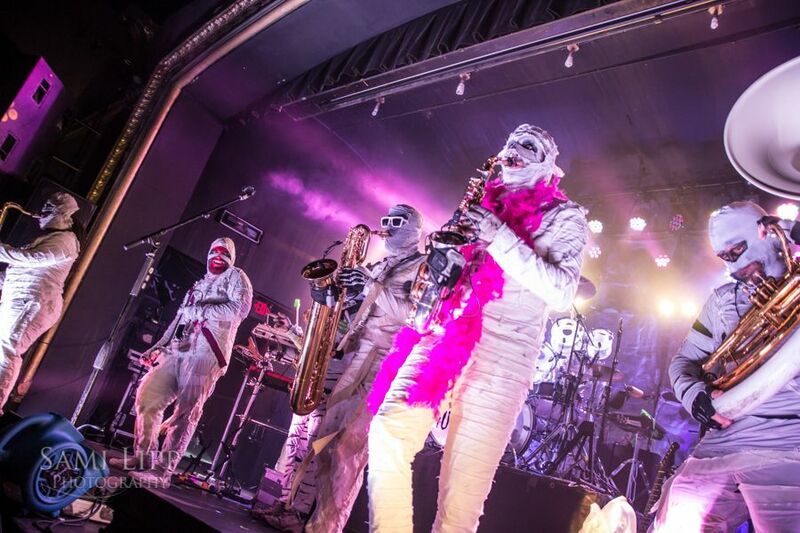 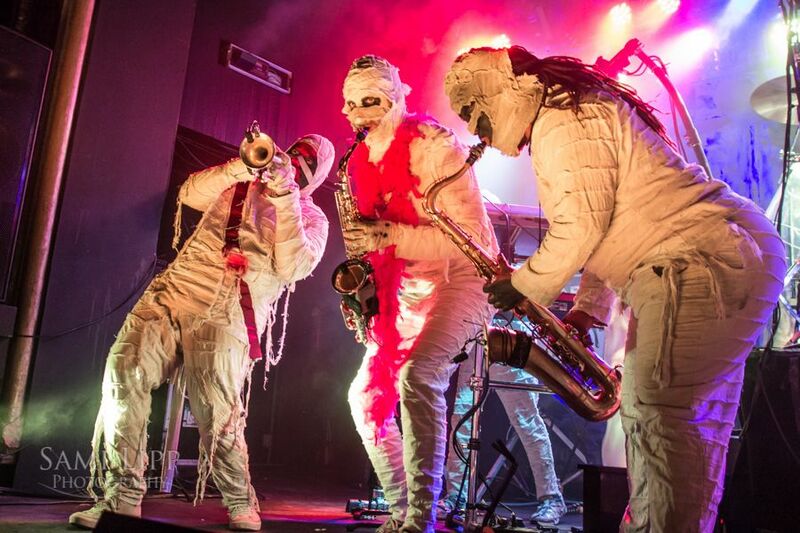 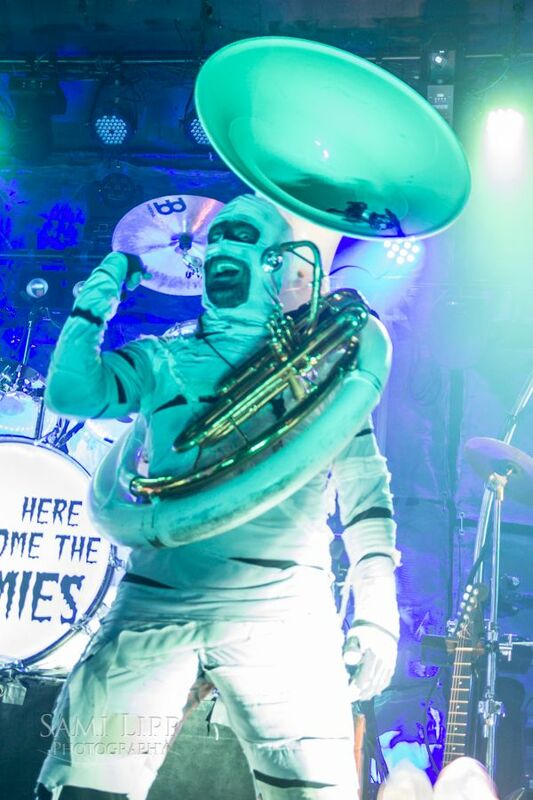 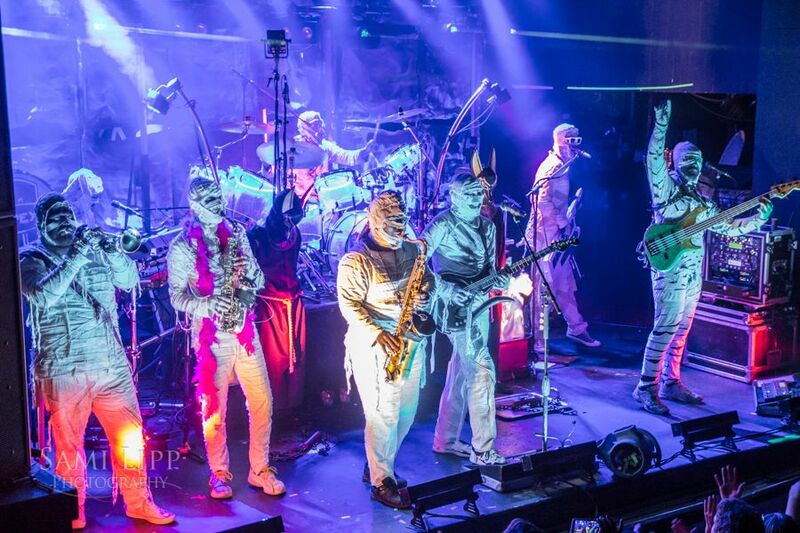 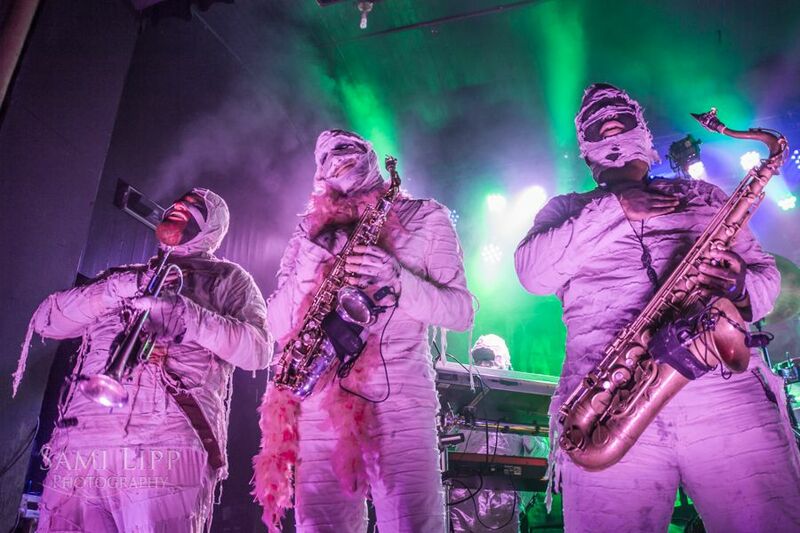 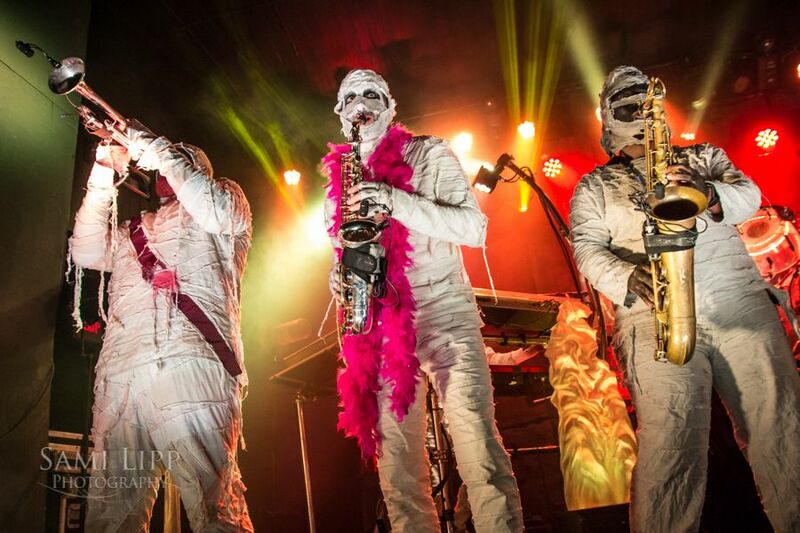 Here Come the Mummies is an eight-piece funk-rock band, clad in wrappings, feather boas, and mystery. 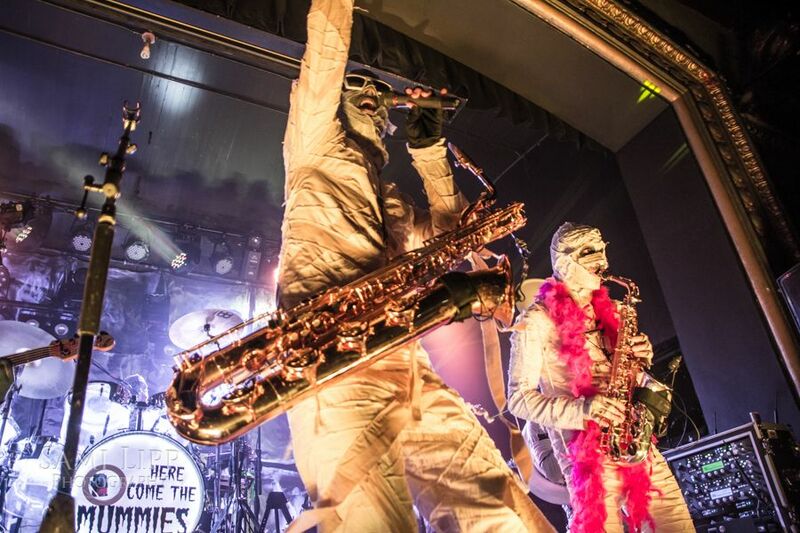 Their identities unknown, there are rumored to be several Grammy awards among the members. 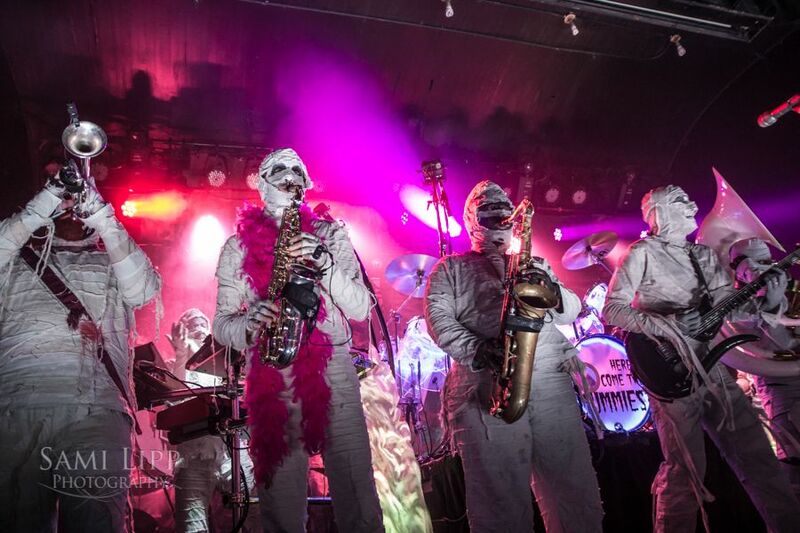 Their music is a swelling combination of raunchy lyrics, mesmerizing musicianship, comedic antics, and over the top live shows. 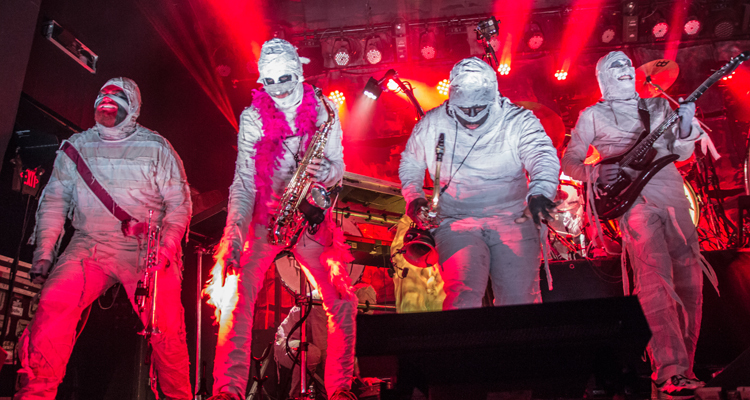 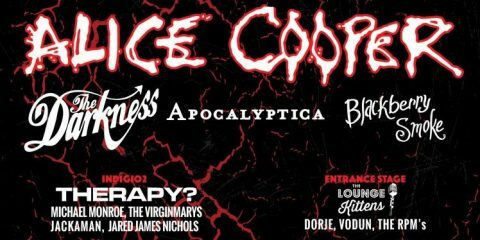 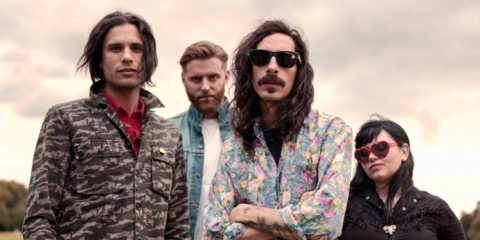 This band soars past the notion of being a novelty band; each member is an amazingly talented musician and they create a dazzlingly awesome show. 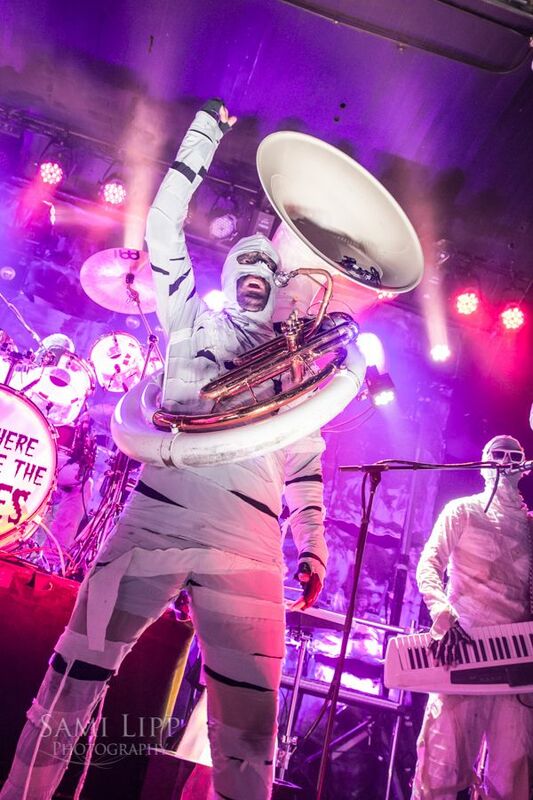 They embrace their ridiculousness and cheese factor and make it a once in a lifetime event every time they hit the stage. 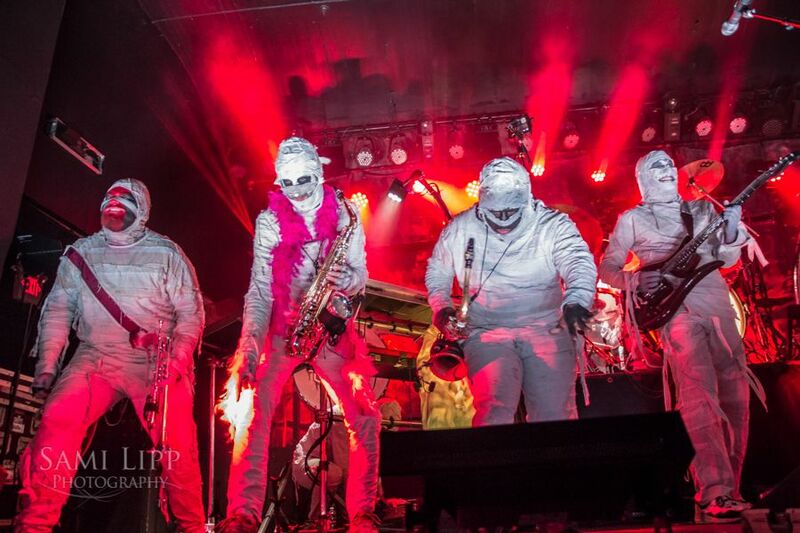 As always, the band had the crowd captivated and partying throughout the entire show. 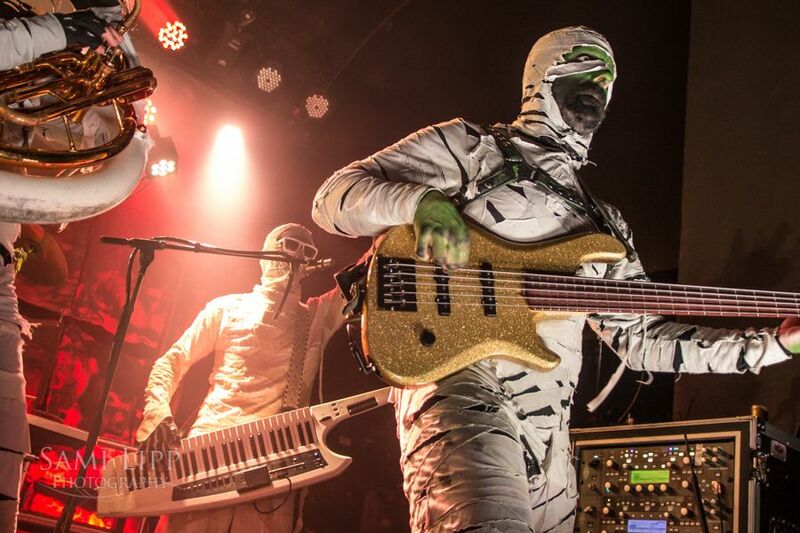 The Mummies led the venue in a dance for “Funk Shui”, had confetti cannons shooting into the crowd, and had fans singing along to every song. 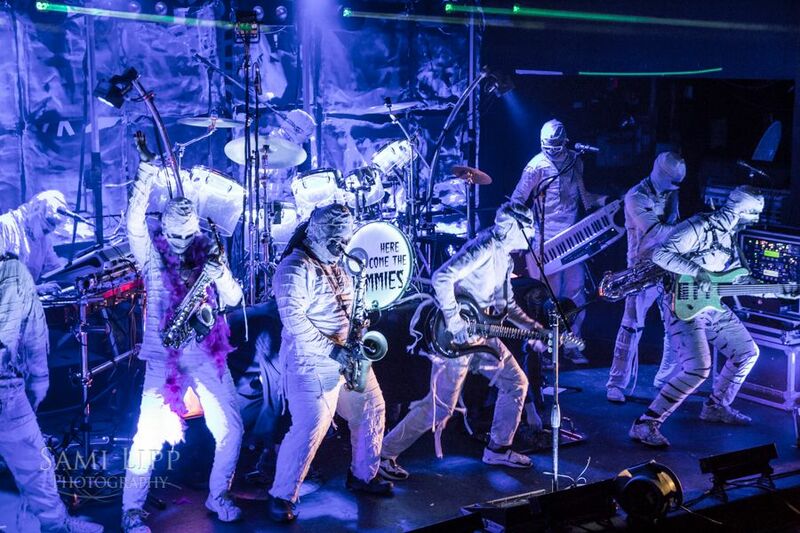 During “Bring That Down”, the horn section jumped into the pit to play among the crowd during a drum solo battle that had the crowd screaming. 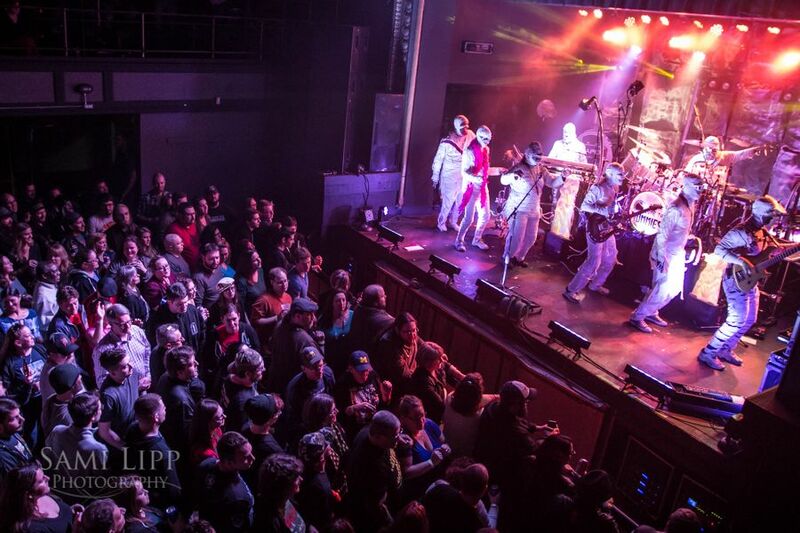 Tonight was a very special night, one of the three shows that are being made into a live recording to showcase two new songs, “Freeway” and “Shag Carpet”, which the crowd ate up and soon was singing along with.They were relentless as they charged through fan favorites like “Friction”, “You’re Gonna Get It”, “Pants”, “Make It Shake”, “Single Double Triple”, and many more. 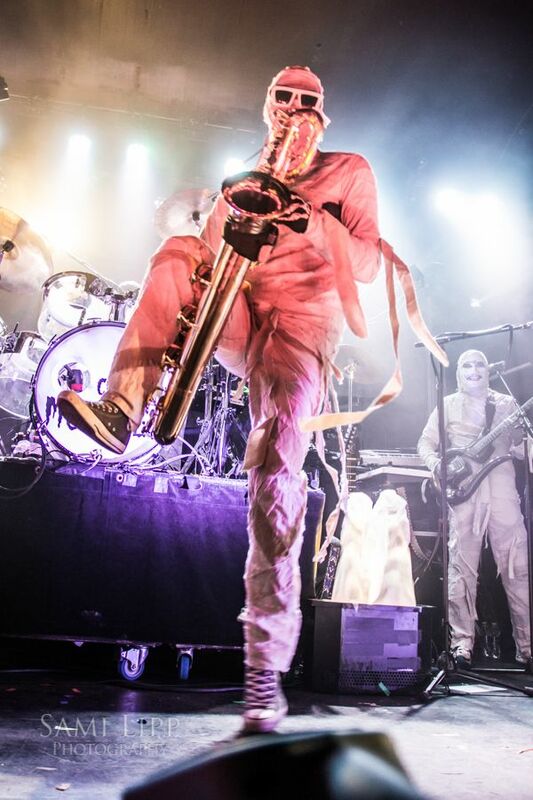 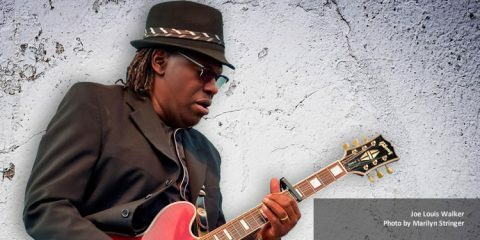 Each song showed off fantastic drum beats, chaotic and soaring sax and trumpet solos, and driving bass and guitar grooves that give the band their uniquely funky flavor. 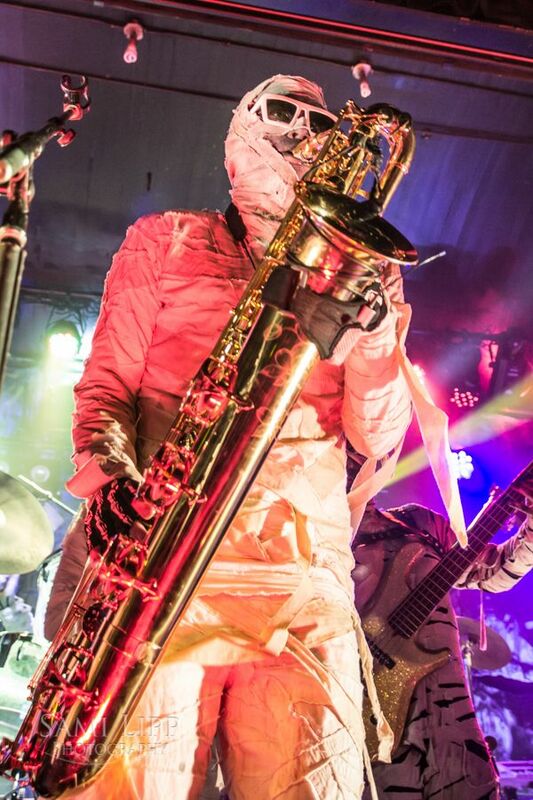 Closing out the night with “Booty”, the crowd celebrated an amazing night with their favorite dirty mummies, already looking forward to their next time in Detroit. 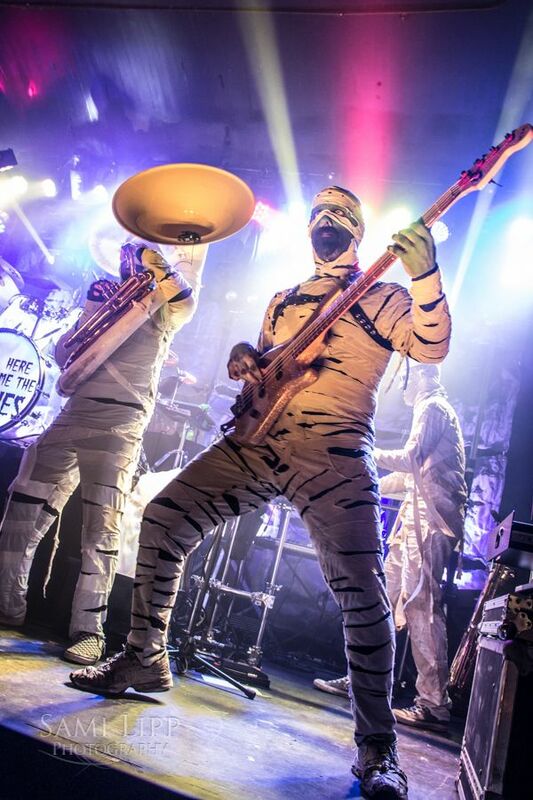 They were relentless as they charged through fan favorites like “Friction”, “You’re Gonna Get It”, “Pants”, “Make It Shake”, “Single Double Triple”, and many more. 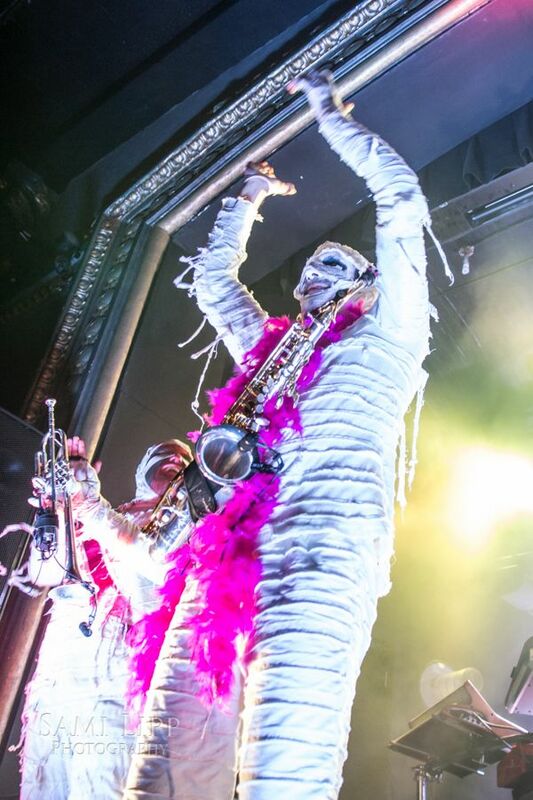 Each song showed off fantastic drum beats, chaotic and soaring sax and trumpet solos, and driving bass and guitar grooves that give the band their uniquely funky flavor. 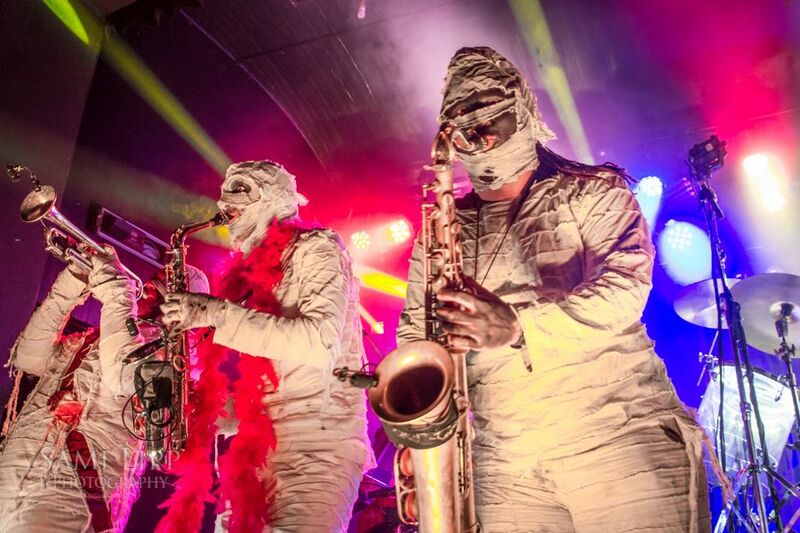 Closing out the night with “Booty”, the crowd celebrated an amazing night with their favorite dirty mummies, already looking forward to their next time in Detroit. 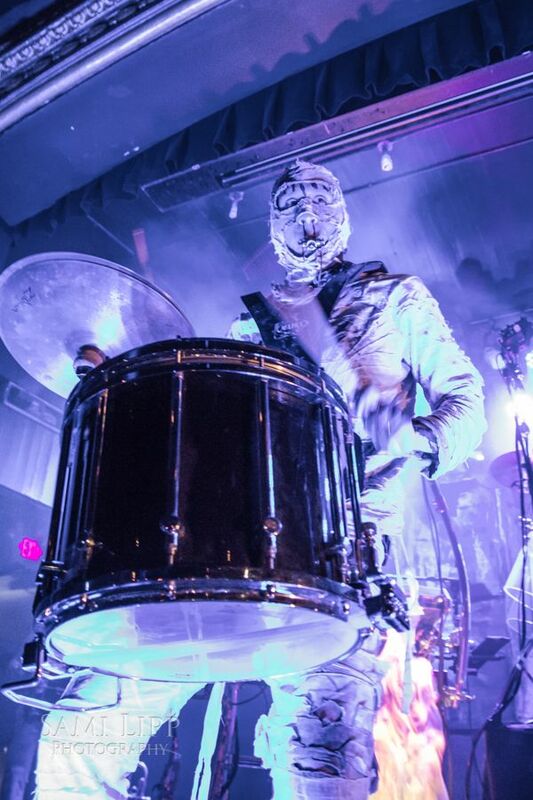 The Wicked Never Rest tour continues throughout the year all over the U.S. You can find their next show on their website.